We're all Frenchified again today so while I'm snacking on my crêpes, it's time for a story of abdication from the land of revolution! Our tale begins in March 1830, and a vote of no confidence against King Charles X in the Chamber of Deputies. The King's somewhat peevish reaction was to dissolve parliament and declare that there would be no elections for two months, by which time he firmly believed that his own supporters would sweep to power. When the outcome of these eventual elections was not quite what Charles had been hoping for, he suspended the constitution and then, against all advice, dissolved the National Guard of Paris, invoking the ire of the people. On 25th July, he placed his signature on the July Ordinances, a move that would seal his forthcoming fate. Also known as the Ordinances of Saint-Cloud, these new measures imposed strict censorship on the press, outlined further political reform and detailed yet more elections, this time to take place in September. The public came to learn of the Ordinances when they were published in government newspaper, Le Moniteur Universel, on 26th July; on 27th, a short revolution started that would bring down the rule of Charles X. That summer day began with police closing down any newspapers that had dared to defy the censorship order and within hours, protests broke out in the streets. By the following evening impromptu barricades had sprung up across the city and military patrols were moving through the streets, attacked by rioters as night fell. As the death toll climbed, Charles' political opponents begged him to withdraw the Ordinances yet still the King resisted, believing that such a climbdown would be disastrous for royal authority. By the end of 29th July, that royal authority lay in tatters. Among other important buildings the Tuileries, Louvre and Hôtel de Ville were in the hands of the Parisian citizens as revolutionaries raised the tricolor across Paris, tearing down the Bourbon flag. A hastily established provisional government gathered to try and restore order whilst the King, his Ordinances well and truly crushed, contemplated his next move from the Château de Saint-Cloud. In the very early hours of 31st July, Charles received word that the next building targeted by the revolutionaries was the Château itself. At this news he assembled the court and everyone decamped for the relative calm of Versailles, only to be told on arrival that the palace was already unsafe. He spent a fraught day at the Trianon before travelling on to Rambouillet that night. On 2nd August, his authority all but gone, Charles X and his son, Louis-Antoine, the Dauphin of France, abdicated the throne in favour of Henry, Duke of Bordeaux, the nephew of Louis and grandson of Charles. 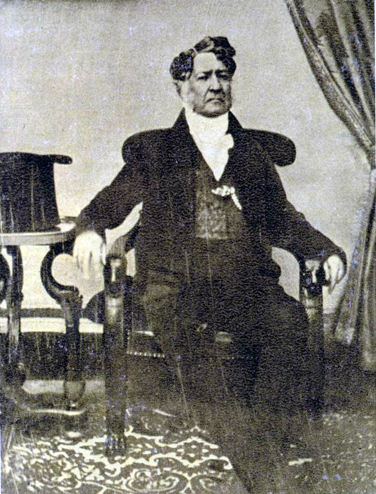 However, the provisional government rejected this decision and instead placed Louis Philippe of Orléans on the throne as a constitutional monarch, the imposed head of what became known as the July Monarchy. Want to know how Charles X ended his turbulent days? Hop in the sedan chair and follow me! One would have thought that Charles X had learned the lesson of the Revolution. Louis- Philippe was not much loved by the people, either, and ended by being cartooned as a mushy over-ripe pear. He did indeed; hardly how one would wish to be remembered! Not a happy way to go!